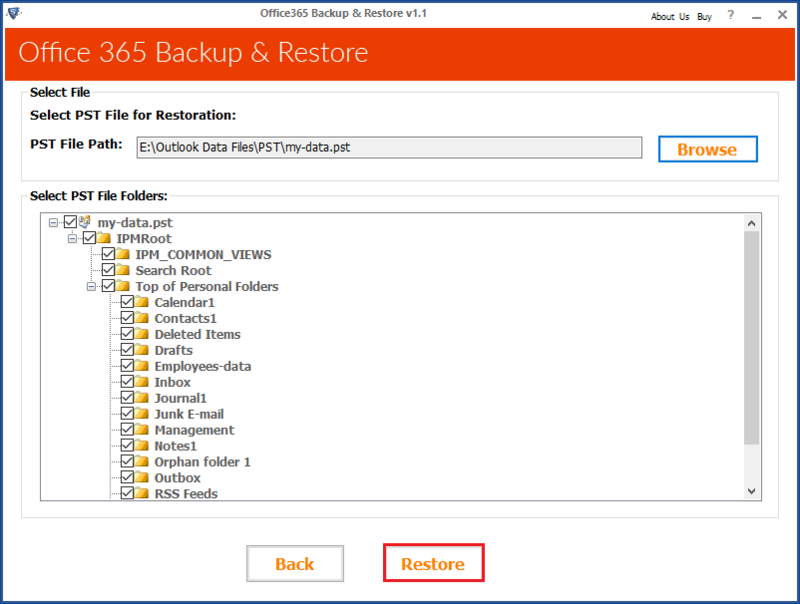 Are you looking for the best tool to migrate data from Outlook to Office365? Read our article to know about the best Outlook to Office 365 Migration Tool. Office 365 Migration software provides a complete restoration solution for Outlook users. It allows to move all the Outlook data items such as emails, contacts, tasks, calendar, appointments into Office 365 without any data loss issue. A batch number of PST files can be exported to Office 365 in a single go. So, the user can easily migrate any number of PST files to Office 365 cloud platform in a short time interval. The Outlook to Office 365 migration tool offers the user to customize the migration according to the need i.e., the user has an option to choose the data items that need to be migrated to Office 365. Selected data items like emails, calendar, contacts, tasks, journals etc can be selected to export. PST to Office 365 tool provides an option where the user is asked whether the folder hierarchy is to be maintained with the exported data items. Choosing the hierarchy option creates a new folder with user name and all the selected PST are added to it. An in-built feature, Mail Filter allows the user to simply migrate all the emails for a particular time period. The users can easily upload the mails between the indicated time period, instead of transferring all the emails. The Outlook to Office 365 Migration tool can easily upload the Outlook data items to Office 365 cloud platform. It attempts to maintain the data security by preserving the formatting of all emails. The attachments are also securely transferred without any compatibility issue. The interface provided by the PST to Office 365 tool is much user interactive and easy to use. It allows to transfer complete Outlook data to Office 365 within few simple steps. So, the tool helps the user to carry out faster and efficient data migration. The user can choose to move the PST file of any size as the tool does not impose any restriction on the size of PST file being migrated. The migration is carried out without any file loss or data loss within the file. 1. Demo Version- This free tool to import Outlook PST to Office 365 can be used to carry out Outlook migration in any easy way. It allows user to export the first 100 mails and 25 data items to Office 365. 2. Licensed Version- The user can avail paid version of Office 365 Migration tool which allows to migrate any number of Outlook data items to Office 365 efficiently. 3. Mounted RAM- Minimum 512 MB RAM is needed for its working. However, for larger storage minimum 1 GB RAM is suggested. Note: It is mandatory to have internet connection to carry out migration using Office 365 Migration tool. 1. 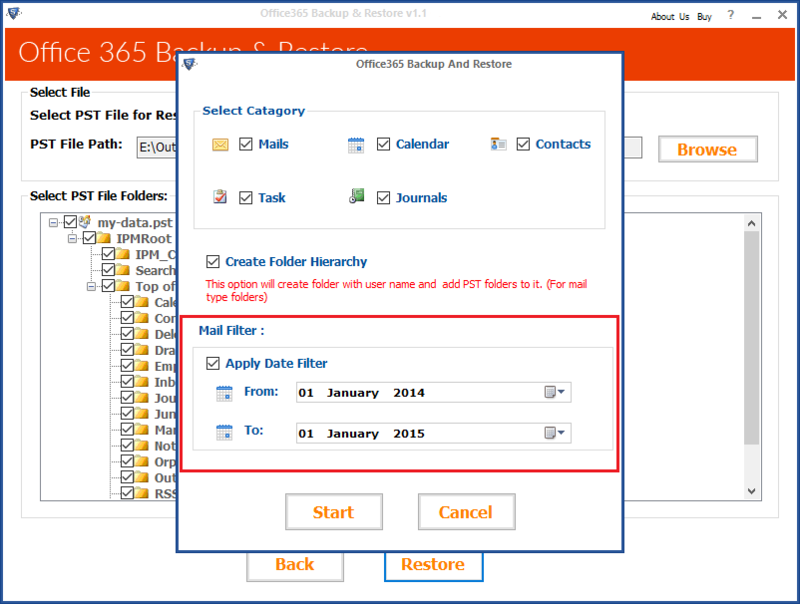 The Office 365 upload PST tool can work independently of Outlook installation on the system. 2. All the metadata linked with the data items of PST is easily retained by the tool. After considering various aspects of the tool, we can easily conclude that the Office 365 Migration tool is a reliable and trustworthy product designed for migrating Outlook PST to Office 365 Cloud. The tool can be rated as 9.5 out of 10 as it is limited only to Windows and cannot operate on MAC operating system. Learn more about the migration outlook PST to office 3656 cloud.